SCCAOR is your passport to growth, knowledge and professionalism within the real estate industry. SCCAOR offers its members a number of exclusive benefit plans including medical, prescriptions, dental, vision, disability, long-term care, legal, life and retirement. Our members (including Affiliates and their W-2 employees) have a unique opportunity to participate in special medical programs. C.A.R. and NAR have created insurance products to help meet the needs of the REALTOR® community. Choose from limited coverage or comprehensive coverage. They provide health, dental, vision, and life insurance products. Employees of Member Firms. Everyone accepted/guaranteed issue. Unlimited tech support service is offered as part of your dues benefit from the Santa Clara County Association of REALTORS®. Instead of paying hundreds of dollars with other providers, call Tech Helpline. As a SCCAOR Member, there is no additional cost for you to use this service. Click here to for more information about the Tech Helpline. Members receive free zipForm® as a member benefit! zipForm® is an electronic forms software that automates the forms process and allows you to create, edit, and complete the forms required for any real estate transaction on your computer or tablet. Our REALTOR® store has Supra BTLE lock boxes and Ekey fobs for purchase at member prices. Visit our recently remodeled store to purchase keys and lock boxes and other REALTOR® products. You can also make purchases through our online store. For Supra product support, visit the Supra Support site where you can view video tutorials, access software downloads, how to’s, and contact information for all of your Supra product needs. SCCAOR provides services to help protect your clients, yourself and your commissions through C.A.R. Legal Services and Risk Management programs. Services include the free Legal Hotline, Legal Q & A’s on-line and standard forms. Have your NRDS number ready before calling the C.A.R. Legal Hotline. The CALIFORNIA ASSOCIATION OF REALTORS® Mortgage Rescue™ is a free C.A.R. member benefit, providing both answers and assistance with moving your stalled real estate transactions forward. It provides you with invaluable one-on-one assistance with finding a Lender, loan qualifications, Down Payment Assistance, closing transactions, underwriting, short sales, funding, payoffs, REOs, Deeds in Lieu, and overall preparing your Clients for homeownership, for any of your mortgage related questions or issues. The helpline is available Monday – Friday 8:30 a.m. – 4:45 p.m.
You can also email financehelpline@car.org or use the new Mortgage Rescue ™ Automated Virtual Assistant to help answer your questions. A professional head shot and a 60 second video profile are available to SCCAOR members at no cost. It’s a great way to present yourself and to give a brief description of the services you provide. Click here to visit a studio page for more information and to schedule your appointment. Changing Offices? Download or print your forms here for SCCAOR and MLSListings. We provide dispute resolution services including counseling, mediation and arbitration free or at low-cost to members. Low-cost mediation and arbitration of disputes between REALTOR® members and their clients are conducted by the Professional Standards Committee. For more information please visit the dispute resolution page or contact our Professional Standards Department at 408.445.5099.
the multiple listing service (MLS) for five California counties. 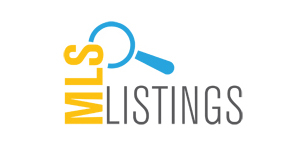 Located in Sunnyvale, California, MLSListings provides its 20,000+ subscribers with technology-based MLS products and services exclusively for licensed real estate professionals. With the partnership between MLSListings and Quattro (a MLS data sharing initiative comprised of the San Francisco Association of REALTORS [SFAR], Bay Area Real Estate Information [BAREIS] and Sacramento’s MetroList), MLSListings users now have access to a more extensive region. For subscription information, click here to visit the MLS subscription page or contact the membership department at 408-445-8500. The Community Directory can be used as a free leave behind for clients when door knocking or canvasing your farm. The directories include tons of special offers for homeowners. Each directory can be personalized on the inside cover. Click here to view the directory. Did you know that you can earn back more than your local membership dues by simply taking advantage of the SCCAOR Benefits, Services and Discounts program? Choose from a variety of value-added offers and savings from industry leaders. Plus, every partner provides products and services that you can use every day, in your business or personal life. Black Ink Insurance Services: Specializes in the placement of Errors and Omissions (E&O) Insurance for the real estate industry. For more information call 888-777-7108. Identify Theft Shield: We’re proud to offer a unique Identity Theft Monitoring AND Restoration Service. Identity theft affects millions of Americans each year. Let our risk management professional investigators protect and restore your identity. For more information, contact christine@sccaor.com. LegalShield: LegalShield gives you the ability to talk to an Attorney on ANY matter without worrying about high hourly costs. For one flat monthly fee you can access legal advice, no matter how traumatic or trivial the issue. Under the protection of LegalShield you and your family can live your life on your terms worry-free, everyday, every night. Also ask about plans specifically for Realtors or Brokers. For more information, contact christine@sccaor.com. Benefits Store, Inc.: Insurance Broker for Health Insurance, Supplemental Plans and Family Protection. REALTORS®, Corporate and Affiliate Members, Employees of Member Firms can enroll. For more information, click here or call 800-446-2663. TransUnion SmartMove: Property Managers – Now you can get the whole story on your potential renters. A web-based tenant screening solution. Use coupon code SCCAR2018 (Expires: 01/01/2019) then click here to take advantage of this member savings. Sprint Services: Save with discounts on Sprint monthly service plans through your NAR membership. NAR discount code (Sprint corporate ID code): ASNAR_ZMB_ZZZ. Visit Sprint’s dedicated web site: www.sprint.com/NAR or call Sprint’s customer care line at (866) 639-8354. Let them know that you are an NAR member. Unlimited tech support service is offered as part of your dues benefit from the Santa Clara County Association of REALTORS®. Instead of paying hundreds of dollars with other providers, call Tech Helpline. As a SCCAOR Member, there is no additional cost for you to use this service. Click here for more information about the Tech Helpline. SCCAOR Sponsored Tour and Marketing Sessions (Broker’s Open Tour Meetings) are open to Affiliate members of SCCAOR. These meetings provide an excellent opportunity to network with Brokers and REALTORS® on a weekly basis. Health coverage is available for our Affiliate members through the Benefits Store, Inc: Insurance Broker for Health Insurance, Supplemental Plans and Family Protection. For more information click here or call 800-446-2663. Two great opportunities! Sponsor brunch and have the opportunity to promote your product or service to SCCAOR members or apply to present your expertise and your company to our members in a one hour informative seminar to SCCAOR members over brunch. Please fill out the form for either sponsoring brunch or teaching a class. Forms must be submitted to Tracey Lee – email: tracey@sccaor.com. For more information contact her at 408-445-5077. SCCAOR is leading the way in education opportunities for REALTORS®. Take advantage of the networking and marketing opportunities by sponsoring one of the many classes. View our class calendar then contact Jodee at 408.445.5089 or email jodee@sccaor.com for information. The Community Directory offer extra exposure to your brand. Over 5,000 of these directories get distributed by REALTORS® each year. Every SCCAOR Affiliate receives a free listing. Display ads can be purchased for a discounted rate. Click here to view the directory. Click here for the affiliate application form and email to membership@sccaor.com or use the form below to be contacted. The Santa Clara County Association of REALTORS® has partnered with companies that offer products and services members and consumers need or want. View the directory flip book to find an affiliate service provider.